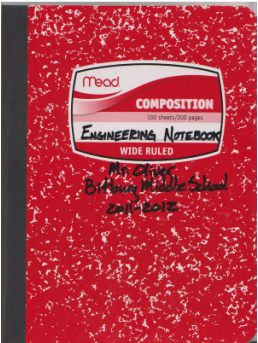 Everyone is Introduction to Engineering will maintain an engineering notebook throughout the semester. My personal recommendation is for using a composition book as shown in the picture. However, spiral bound notebooks are acceptable, as well.